RBI says accepting coins packed in polythene sachets of 100 each would be more convenient for the cashiers as well as the customers. Such polythene sachets may be kept at the counters and made available to the customers. Taking a strong stance against the banks, which tend to refuse to accept currency coins, the Reserve Bank of India (RBI) issued a circular recently. "(We draw your attention on an earlier circular) on Facility for Exchange of Notes and Coins where it was advised that none of the bank branches should refuse to accept small denomination notes and / or coins tendered at their counter," reads the circular issued on February 15. Despite the circular, Reserve Bank, it says in the latest circular, that it continues to receive complaints about non-acceptance of coins by bank branches. Such denial of service has reportedly, in turn, led to refusal on the part of shopkeepers and small traders to accept coins as payment for goods sold and services rendered causing inconvenience to the public at large. "You are, therefore, once again advised to immediately direct all your branches to accept coins of all denominations tendered at their counters either for exchange or for deposit in accounts," says the RBI circular. 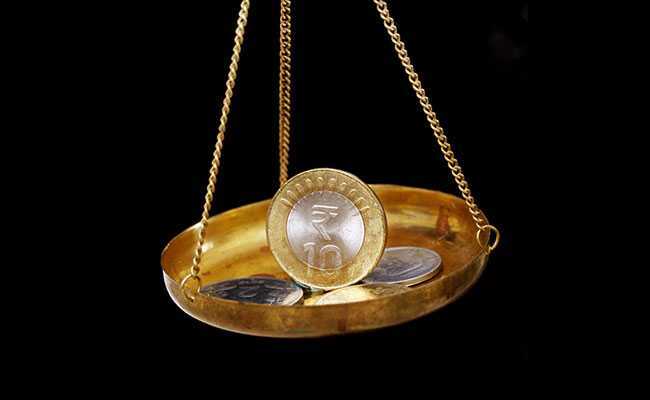 The RBI further advised that it will be preferable to accept coins, particularly, in the denominations of Re 1 and Rs 2, by weighment. However, accepting coins packed in polythene sachets of 100 each would perhaps be more convenient for the cashiers as well as the customers. Such polythene sachets may be kept at the counters and made available to the customers. "A notice to this effect may be displayed suitably inside as also outside the branch premises for information of the public," says RBI. The RBI says In order to obviate the problems of storage of coins at the branches, coins may be remitted to the currency chests as per the existing procedure. The stock in the currency chest should be utilised for the purpose of re-circulation. "If the stocks of these coins reach beyond the holding capacity of the currency chest for lack of demand, the Issue Department of the Circle may be approached for remittance of coins," says the RBI. The Controlling Offices may be advised to pay surprise visits to the branches and report the position of compliance in this regard to the Head Office. The reports may be reviewed at the Head Office and prompt remedial action taken, wherever necessary. Any non-compliance in this regard shall be viewed as violation of instructions issued by the Reserve Bank of India and action including penal measures as applicable from time to time, may be initiated.